incoporates details from the Tibetan Mandala. The Tibetan Mandala sand paintings always have an outer border that is divided into four sections and each represent the primal elements of the material universe (air, water, earth and ether). (white, yellow, red and green). 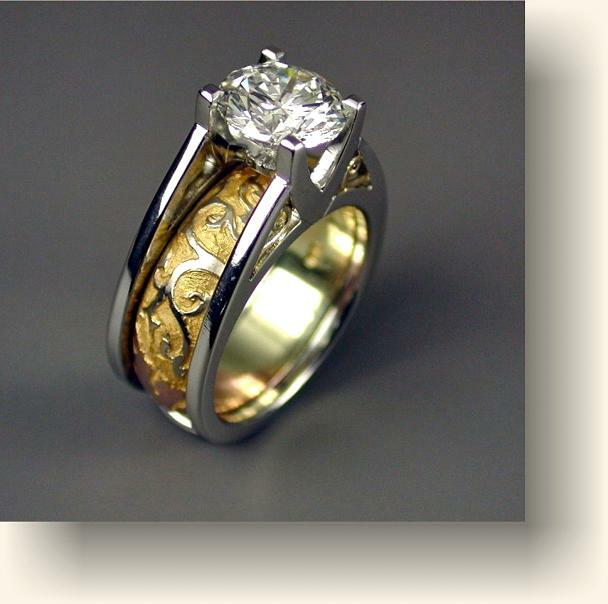 The Platinum engagement ring has a 1.25ct Brilliant cut Diamond along with inlaid filigree.